Michaela Bekenn is a multidisciplinary artist, passionate for an intermodal approach to holistic wellness. As a singer-songwriter, dancer, writer, and storyteller, she believes in the healing power of intuitive expression. She has been a facilitator of yoga and meditation in the University of Toronto community and is a song-circle leader with elders and children. After completing her 200 hour yoga teacher training with the Sivananda Centre the horizon continues to expand. Michaela incorporates her ongoing training in Reiki (energy healing), Sound Therapy, and the performing arts in her journey as a yoga practitioner. She is committed to nurturing a safe practice and inclusive space for participants of all ages and stages to arrive and thrive. Upon graduating from Canada’s National Ballet School in Toronto, Alysha found an affinity for the dynamic practice of Vinyasa yoga and how it complemented her dance training. While performing with Palast-Berlin: Europe’s Show Palace, with the largest theater stage in the world, Alysha continued to deepen her knowledge as a physical practitioner and eventually completed her Yoga Alliance Certified Teacher Training (RYTT200) at YogaLinda in Barcelona, Spain. 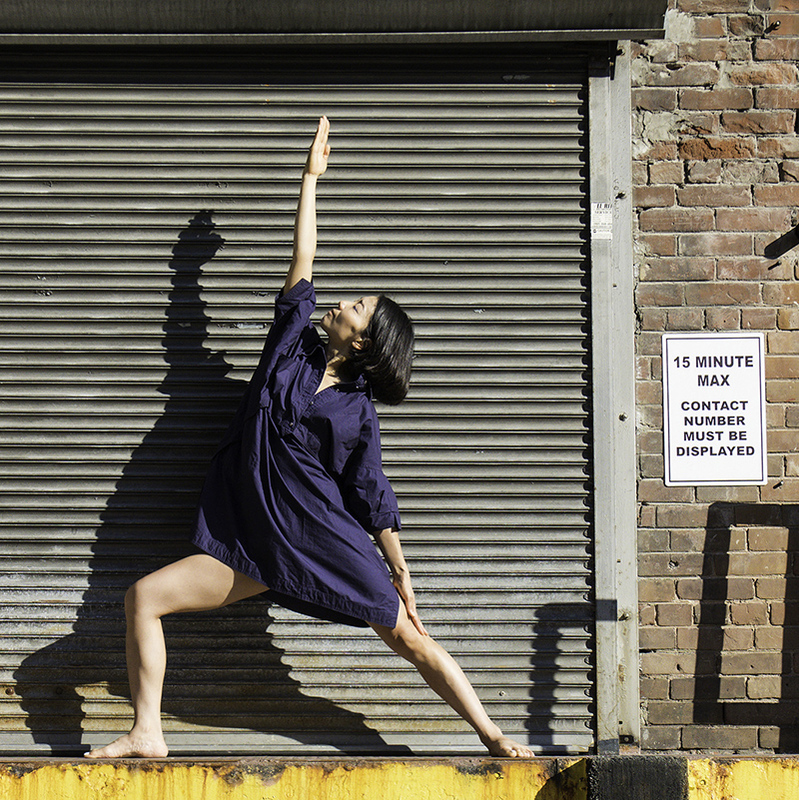 After 6 years performing in Europe, Alysha returned to her home city, Toronto, and immersed herself in the daily practice of asana and a regular teaching schedule. With a growing curiosity and love for the fitness world, she completed her beginner and intermediate Xbody EMS personal training certification. Alysha has had the privilege of working with a host of inspiring and talented artists, fitness trainers and health professionals; her diverse training background brings a unique focus to her classes- movement becomes the key to building strength both physically and mentally. Whether she is teaching a private lesson or a group class, she strives to give her students a comfortable and encouraging space to explore their own unique connection to movement. I was introduced to yoga in Florianopolis, a paradise island off the southern coast of Brazil. My Brazilian teacher, a man who exemplifies compassion and grace, told me, "Ioga é beleza", which literally translated means, "yoga is beauty". "Beleza" in Brazilian Portuguese has several meanings. It translates a feeling of peace, bliss, and calm, a feeling of being completely content and in the moment. His definition of yoga resonates in my practice to this day. Yogic philosophy has brought beauty into every sphere of my life, it has taught me about who I am and how I am connected to everything around me. As a teacher I hope to pass on the same understanding to my students.Since my return to Canada 15 years ago, I have received a Teacher Training Certificate studying with Cynthia Funk and Jonathan Austman at the Yoga Sanctuary, and later completed an Advanced Teacher Training program with Hart Lazer. I have had the honor of studying yoga therapy techniques with TKV Desikachar and Menaka Desikachar. Over the last decade, Michael Siddall has become my teacher and dear friend. His greatest lesson has been to teach with humour. Laughter makes everything lighter. I am a life long student of yoga. Jen lives her happiness by doing what she loves best. She is passionate about yoga and continues to grow and flourish humbly as a student. Jen has been influenced by the teachings of Pilates, Yoga Tune Up, Pilates, Moksha, Anusara and Iyengar combined with many years of alternative health practices. Her most influential teacher is her son Aden who allows her to always be present and practice patience. Jen teaches her yoga classes with a playful and light energy along with alignment based instruction. Jen proceeds to live life authentically through self study and believes that yoga is therapy for the soul. In addition to being a yoga teacher, Jen is a dedicated mother, a creative photo app enthusiast and professional chocolate eater. Jen is grateful for her mentors Ted Grand, Jessica Robertson, Don Christensen, Noah Maze, Marla Menakshi Joy, Todd Norian, Ann Greene, Moira Canes, Dr. Heidi Walk, Ernie Patai, Kathy Ryndak, Amanda Tripp, Margot McKinnon, Clarissa Pena and Andrea Palen. Jason’s fascination with movement and health started at the age of six when he began studying Eastern martial arts. The art teaches respect, loyalty, and kindness; teachings which created a solid foundation for Jason’s path in life. The practice also teaches willpower and the ability to use the mind to have control over the body. While attending the University of Toronto for his physical health and education program (BPHE), Jason joined a body movement class which would bring that teaching into question. This particular class emphasized the importance of finding balance between the body and mind, and challenged the "mind over matter" teachings of martial arts. This class opened up a new understanding, exploration, appreciation and respect for the harmonious relationship between the mind, body and spirit. For 25 years, Jason has pioneered one of the first in-home personal training companies in Toronto, a business that still supports individuals to achieve their health and fitness goals through nutrition, individualized exercise programs, a balanced lifestyle and healthy choices. With his education and experience, Jason has become a leading expert in the field of health and fitness. He has contributed to many news articles by providing useful and approachable concepts to living a healthy life. No matter his experience, Jason continues to remain, as always, a student. He has spent over four decades attending various international health and fitness clinics, workshops, yoga retreats and healing focused health services to continue to explore movement, well-being and self care. Yoga Star allows Jason to share his life long experiences, knowledge and passion. He is able to offer classes and services which encourage thoughtful movement, mindfulness, and the importance of community. Yoga Star welcomes you to a warm, healing, inviting space where you can nurture your own connection to mind, body and spirit. Carlyn began dabbling in the practice of yoga at the age of 15, and was a certified teacher by the time she was 20. Being a competitive dancer for many years, the physical aspect of yoga provided a therapeutic counterbalance for the high intensity ballet training. But it was the spiritual and philosophical side of yoga that drew her to the practice. She believes in yoga as therapy for the whole being. Carlyn uses her classes as a way to get deeper into the experience of each pose, and to begin to re-pattern the body even down to the cellular level. She encourages students to move from the heart, eradicate the ego and get in touch with our truest essence- the source of our authenticity. We live in a world where so many people are asleep and disconnected; Carlyn feels it is part of her path to help people wake up, realize their full potential and become aligned with their purest spirit. As well as being an actor, she is also working on becoming a certified tarot card reader, and often brings her tarot or oracle cards to class to help set intention. From my first practice, I was immediately drawn to the mind-body connection of yoga, the sense of calm and focus that comes from moving and breathing while grounded in the present moment. I spent several years living in the U.S., China, and western Canada, and it was always through yoga that I found connection in each new community. In the vibrant city of Shanghai, I studied the traditions of Hatha and Iyengar yoga and began my journey as a teacher. Always a student first, I believe in lifelong learning and I am inspired by the students and teachers I have met around the world. My additional training includes Restorative and Yin yoga, yoga for cancer, therapeutic applications of yoga, as well as extensive study in mindfulness and meditation. I am passionate about sharing the healing power of yoga and meditation. I encourage my students to practice with the curiosity of a beginner’s mind, to explore their inner landscape while aligning the external body, to move mindfully with a deep connection to the breath, and to find their own true expression of each pose and each moment. Shannon began practicing yoga in 2005 as a university student and immediately fell in love with the transformative power of yoga. In 2014 she completed a master’s degree in Religious Studies with Specialization in Women’s Studies; she has a deep passion for understanding and exploring spiritual traditions. After practicing yoga for 10 years Shannon completed the 200-hour Teacher Training at Yoga Space, Toronto with Kathryn Beet, Hali Schwartz and Rachael Fallon. In 2018, she completed the Yoga-For-All Accessible Yoga teacher training with Dianne Bondy, and Trauma-Sensitive Yoga with leading scholar David Emerson. Shannon also completed the Yin Yoga teacher training at Semperviva Yoga in B.C. with pioneer in the field, Bernie Clark. Bernie is the author of The Complete Guide to Yin Yoga, Your Spine, Your Yoga and other pivotal texts. She has also studied Yin Yoga and the Anatomy of Fascia with world-renowned instructor Angela Jervis-Read. Over the past year, Shannon has been learning Pilates and functional movement in order to provide a balanced approach to alignment, core strength and overall wellness. Kate, a Toronto based Yoga Instructor, teaches a wide range of levels from restorative, yin, chair yoga, and vinyasa flow, all the way to power flow and aerial yoga! Coming from an Ashtanga background, she loves a good sweat in her practice and teaching - but a passion of hers is sharing the accessibility of yoga, and has enjoyed exploring the gentler side of the spectrum. In Kate's classes, everyday will be different, as she creates her classes around who is in the room. She makes sure beginners feel safe and confident, and regulars feel challenged and involved. Aside from Yoga, Kate loves biking, her dog Joni, her snakes Levi and Kenobi, punk rock concerts and anything related to cactuses and avocados! Mari is inspired by movement that not only helps us move well in our everyday lives, but that aims to connect mind, body & soul. She believes that Pilates and mindful movement are beautiful means to self awareness, self discovery and self growth. As a Pilates teacher, she seeks to pass on her deep understanding of the power of movement by inviting others to dive inward. Her passion for dance and movement dates back to her very early years. She holds a BFA Honours in Dance from York University and she is a graduate of the Body Harmonics 120 hour Mat Work Pilates Teacher Training & of the 200 hour MisfitMethod Teacher Training. Liz's goal as a yoga instructor and meditation guide is to safely lead individuals through accessible practices that will allow students to release tension, find balance, and promote peace of mind through the linking of mindful movement and breath. For over a decade Liz has turned to yoga and meditation as methods of self-care, to calm and strengthen herself while juggling single motherhood and a hectic career in media. After nearly 8 years of consistent practice, she decided to pursue teacher training so that she could share the benefits of yoga with others. She completed her 300 hour Yoga Teacher certification at Yoga Therapy Toronto under the Sri T. Krishnamacharya lineage, and mindfulness training with Dr. Shailla Vaidya. Liz is currently immersed in a 1000+ hour Yoga Therapist Training program pursuing her qualifications to become an IAYT Certified Yoga Therapist. She looks forward to sharing what has brought peace and joy into her life and guiding your practice. I grew up in a small town in Northern West Japan, where yoga was introduced rather later. When I was completing my degree at OCAD University, I first tried "Gym Yoga." Back then, I did yoga only because I wanted to stay fit physically and didn’t know anything about the depth of its philosophy. Over years, my verdict on yoga has changed dramatically as I continue to study further. Being an artist myself, both asana practice and yoga philosophy helped me unblock creative doubts. A good yoga class is like a good piece of art! I make my vinyasa flow class as if to make an immersive art with a goal for students to experience self nourishment through their body, often with music that inspires me when I am making art. I want students to feel creative, inspired, and ready to try something new with curiosity walking out of my class. I am truly fascinated by what yoga can do to our mind and to our body each day. I am ready to share my knowledge with more students as well as continuously learning from them. As a Yoga + Meditation Instructor, Caitlin has spent much time focusing her studies on inward observation. She has a true belief that, through this mindfulness, we can begin to learn more about ourselves and the patterning that can lead us astray from our true path. When we connect and tune into our breath - and the internal dialogue - we begin to shift our thought patterns and bring more positivity into our lives. In class, Caitlin's goal is to help guide you on a personal journey that allows you to unstick the stuck, and move with more freedom. Her intention as a teacher is to inspire participants to use all of their senses as they move through their own practice; encouraging them to be where their body is. She is truly looking forward to being able to hold space for you to experience a deep connection with yourself, and those around you. Actor, Yogini and Seeker, Emily has over 500 hours of certified yoga training through Yoga Space. Like many, Emily found her way to yoga the way many have: as a means to help her back and manage anxiety. What she gained through her practice has changed all aspects of her life. Her love of Vinyasa helped to manage her abundant energy, that if wasn’t channeled led down the road of anxiety. Through her Vinyasa practice she continues to build her personal discipline and stamina. Her love of Flow yoga truly taught her the beauty of making the practice a moving meditation and how life-changing loving acceptance is. As taught to her by Bibi Rahim-Hahn, Flow yoga is of a Kundalini-Tantric lineage. Her passion for Restorative Yoga has taught Emily the power or rest, space and stillness. Her Restorative classes are a deeply heartfelt offering combining meditation technique to still the mind and optional hands-on support and aromatherapy. Emily offers a Vinyasa class as well as a Restorative with Gentle Vinyasa class at Yoga Star. Kristy has been casually practicing yoga for over fifteen years but became truly devoted when she found aerial yoga. The playfulness and whimsy of aerial yoga combined with fleeting moments of fear (often immediately followed by exhilaration) keeps the mind completely present with the body, leading to a practice like no other. She believes the beauty of yoga, in every form, lies in the ability to connect with the inner child, to be playful, to be curious, to be silly and unafraid of the unfamiliar; qualities as adults we often deny ourselves. Kristy began teaching aerial yoga in 2014, immediately discovering that sharing the practice with others to be as wonderful, educational and rewarding as practicing for herself. Prompting her to deepen her practice, pursue a further understanding of what yoga is and how to live a more compassionate life. In addition to her 500 hour teacher training, Kristy is certified in aerial yoga, pre and post natal yoga, Thai massage and is a local artist/Illustrator with plans to continue pursuing her education indefinitely. Shane Philips is a student of The Chandra Pillil School of Yoga, a lineage from Kerala India. Also known as Moon House Yoga, Philips studied under his parents the sacred asana of Yoga, Reiki, Dance and Singing as a unifying practice to cultivate peace and joy into the lives of his family and the community around them. Born and raised in farm town Canada, Philips trained as a Classical Italian Opera singer under Edward Johnson as well as receiving a second degree black belt in Tae Kwon Do through Chung Oh’s in Kitchener Waterloo. In addition, Philips has worked as a Social Worker with inner-city homeless teens, bringing depth of life experience to guide others in yoga that is based in the philosophy of union. Eryl is certified in both yoga and meditation instruction and builds her classes on a foundation of mindfulness. She's an active mental health advocate - leading mental health workshops and talks in schools for K-12. Eryl openly shares her experience with anxiety and depression to encourage others to share theirs and seek support. As a former TV News Reporter, Eryl has experience working in a stressful environment and knows how important mindfulness can be in finding relief and managing your mind. She's also certified in Mental Health, First Aid by the Mental Health Commission of Canada for supporting those in mental health crises. When she's not teaching or working in schools, Eryl spends time writing, hiking and singing. Luisa is a graduate with 200hr teacher training program, and in addition, has her certification for Restorative and Therapeutic Yoga. She strongly believes that yoga is a healing practice, uniting body, mind and spirit. She has a very positive and nurturing energy which is felt in her classes. Luisa teaches a variety of different styles, including Vinyasa, Hatha, Child/Family, Restorative and Therapeutic Yoga. In addition to her RYT-200, Luisa is a graduate from University of Toronto’s Ontario Studies in Education Program. Luisa is a cherished educator and runs lunchtime and afterschool family yoga. She also has curated a staff wellness program which includes yoga and stress management workshops. Known for her uplifting, spiritual, foundation focused, and smooth sequencing, it is no wonder why Luisa is an inspirational teacher. Students can expect to whisked away and brought back to a more grounded space by the end of her classes. Luisa is an avid traveller who has lived in Australia and New Zealand and has also trained in Bali and Thailand. Expect contagious smiles, warm greetings, and an overwhelming feeling of peace in Luisa’s classes and private sessions. It was in her twenties, when a friend took Esther to a well-known Ashtanga studio in Toronto. Although having a fit body and a health-conscious attitude - she was training for a marathon at the time - yoga "instantly humbled me physically and emotionally” she said. Despite working as a Nutritionist at the time and having a real passion for helping people, she really did not see her clients changing patterns of behaviour and getting healthier. With yoga she saw people reshaping their entire lives. It was then that she decided that she would one day teach yoga. She hasn’t looked back. 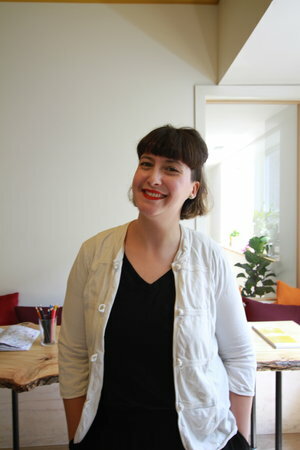 Esther brings all of her personal experiences to her informed classes as well as her warmth and sense of humour. At the end of each of her classes she says: “you are your best yoga teacher” because she believes that the journey is inward and personal. Esther is a graduate of Yogaspace's YTT program at the RYT200 level, as well as a graduate of their Therapeutic Yoga program. She continues to study and take workshops in Iyengar, Yin and Restorative Yoga. She is also a Nutritionist and holds her NCCP Coaching certificates. She leads regular classes at PŪR YOGA, Yogagrove, Cornerstone Studio, Fitness Works, Beaches United Church and Seven Yoga as well as hosting ongoing workshops in community centres for at-risk youth. 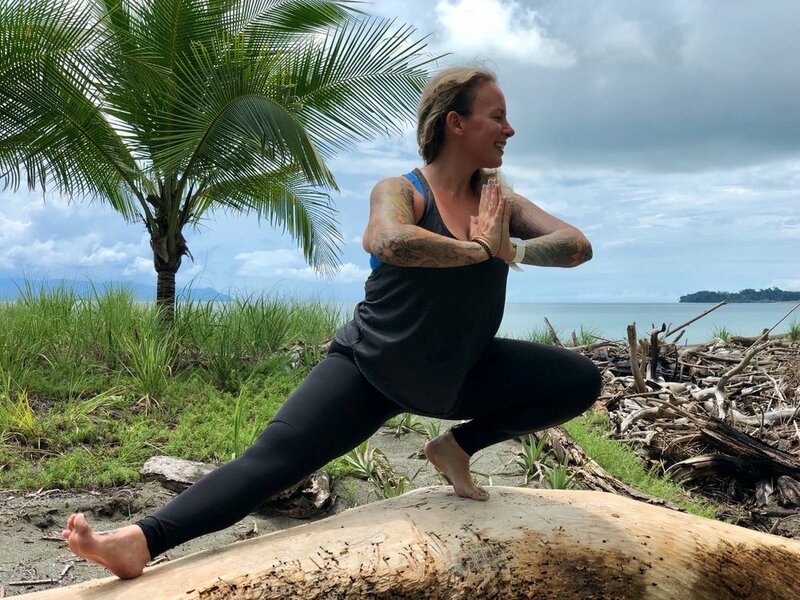 Sarah first started to study yoga in Toronto back in 2004 and since then has had the pleasure of studying different practices in many different countries including Ecuador, Panama, Costa Rica, Nicaragua, El Salvador and Mexico. Taking what she has learnt from these exotic places and receiving her 300H YTT, she started teaching Yoga in 2016. First and foremost Sarah believes Yoga should be FUN! Flawlessly crafting her class’ she likes to try new things, pushing boundaries and comfort zones, while usually sticking to a type of theme (ie: Courage, Energy, Strength, Ambition etc.). Through a mix of breath, vigorous fiery flow or holding poses, mixed gentle movements and meditation; at the end of your practice you’ll be feeling connected to oneself, cheerful and blissful. “My intention for teaching yoga is to have your practice let you connect with your mind, body and spirit.” Her goal is simple - to see you fall in love with yourself and your practice. Ashley brings 8 years of teaching experience, with her down to earth love for movement, connection and hands-on adjustments, she will leave you feeling more chill than Netflix ever could. Ashley teaches and leads retreats and trainings in Canada and internationally. She practices and teaches yoga in the hopes that what is uncovered on the mat can be carried into our ever-evolving full lives. She is honest, real, vulnerable and sassy, who isn't afraid to share what she has to offer with the world in hopes that it will spark others to do the same. Maria Lee Sheng Sun is a licensed professional in the fields of Acupuncture, Tao/Zen Shiatsu Therapy, and Traditional Chinese Herbal Medicine, and has been in private practice since 1993. She received diplomas in Acupuncture and Chinese Herbal Medicine from the Toronto School of Traditional Chinese Medicine, followed by hospital training at Shangdong University of T.C.M. and a certificate in Cosmetic Acupuncture/Herbal Medicine at the Beijing Institute of Acupuncture. In addition, she has graduate qualifications in both Zen Shiatsu and Tao Shiatsu in Canada and Japan as well as training in Japanese-style Reiki. Lisa Nicole Tai is a Holistic Wellness Practitioner, Yoga & Mindful Movement Teacher and a healing & creative artist. A Sivananda-certified yoga siromani since 2002, and a graduate of the Hatha, Vinyasa, and restorative/therapeutic-based YogaSpace teacher training program, Lisa is passionate about helping others, especially with relaxation and self-care, which led her to become a Thai Massage Practitioner, Holistic Nutritionist, Holistic Esthetician, and Reiki Practitioner. She sees mindfulness as a vehicle for mental, emotional, physical, and spiritual transformation. She is inspired by & inspires others through yoga-based practices, writing, dance, and authentic self-expression. Lisa is a sensitive and intuitive wellness practitioner. Guided by the Buddhist principle of metta (loving-kindness) and being fully present during your treatment, she creates a supportive and safe environment for you enter into a meditative state of tranquility. Using various combinations of therapeutic touch, energy work, sound healing, original prose & poetry, she is prepared to assist with your own unique healing journey. Her approach to bodywork has been highly influenced by her teacher Deanna Villa of Thai Massage Toronto, as well as colleagues Chrys Muszka & Drew Hume of Navina Thai Massage. Over the years, she has become attracted to more therapeutic forms of yoga, somatic exercise, and sacred dance, and is excited to share their benefits. As a Women's Studies graduate of York University and former board member of the York Women's Centre, she has a particular interest in supporting women, particularly women of colour. Lisa is consistently striving to explore and deepen her spiritual practice. Her goal is to make healing & creativity as accessible as possible to diverse populations of people. Erica received a 200-hour Hatha Yoga Teacher Training in Thailand at Jungle Yoga and has since been crafting her teaching skills at Toronto’s United Athletics, On stage at East Coast Music Festivals, and predominantly at Fly Studio on Queen West. Spending most of her time teaching students not just Aerial Yoga, but how to explore, let go, and most importantly, to fly. Erica is far from her Prince-Edward-Island roots, but calls Toronto home for all of her passions from yoga, to Reiki Healing, Make-Up Artistry and let’s not forget fire spinning. Her classes remain focused on a combination of: tantric cycles, pranayama, meditation, movement, and alignment. As a former competitive figure skater, Darcie embraced yoga eight years ago after searching for a means to clear the mind through movement. Since then yoga has become a constant in her life. In 2013 she completed her teacher training at YogaSpace, and later completed advanced training in Restorative yoga. Darcie teaches beginner to intermediate level Hatha and Vinyasa yoga. You can expect vigorous, playful classes that balance strength with flexibility and stillness with movement. Her goal is to help each student leave their mat feeling both energized and grounded. As a Registered Massage Therapist and Shiatsu Therapist, Greg presents an intuitive and integrative East-meets-West approach toward holistic health. His career began with a diploma from the Shiatsu School of Canada in 2010. Since then he has recently graduated from Acupuncture Therapy in 2014 and Registered Massage Therapy in 2015. Greg strives to provide a harmonious mixture of Eastern and Western approaches to therapeutic massage. This treatment focuses on your personal needs, manipulating the soft-tissues of the body to relieve pain, help rehabilitate injuries, improve circulation, relieve stress, increase relaxation, and aid in the general wellness of clients. Sheena graduated with honours from the Canadian College of Massage & Hydrotherapy in 2014. Her style can be described as rhythmic & specific, working as deep as the tissues allow all while inducing a serene sense of calm and balance to combat the stresses of everyday life. She likes to tailor each treatment uniquely to meet client goals, and then aim to extend the pain and stress reducing benefits with various home care recommendations. Anxiety/stress reduction, deep tissue/scar tissue, myo-fascial/ trigger point release, TMJ dysfunction and intra-oral, migraines/ headaches, sinusitis/congestion, prenatal, and whiplash are just some of the many specialty treatments Sheena performs on a regular basis. Sheena has always had a very keen interest in biology, anatomy, and evolutionary sciences. She loves educating people about their anatomy and coming up with the best modalities and care to best suite each client’s needs. She looks forward to working with you!